On his show Good Eats, Alton Brown oft quipped “organization will set you free”. This line holds extra true when it comes to grilling. How you maintain your grill and prepare for a grilling session matters as much as the grilling itself. Don’t worry; its easy to do and takes no time at all. A huge plus for grilling is how easy they are to use. With 2 minutes of maintenance before and after every grilling session, you can ensure your grill is safe and clean for years of cooking. 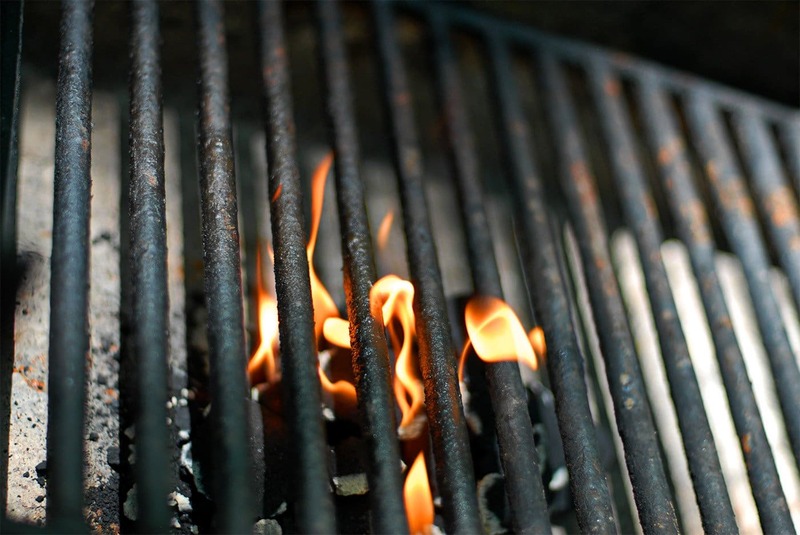 Empty the grease pan: Ever seen the bottom of a grill catch fire? I recall one time a friend was grilling some corn when the grease tray caught on fire, the corn caught on fire, then the grill itself started to warp. We were smart enough to pull the propane tank off before anything really bad happened, but it still ruined the meal and the grill. Just open the tray and wipe off any chunks of soot. Doesn’t have to be spotless, but you should see more metal than ash. Wipe the grates: The cleanliness of your grates is the number one thing you can do to prevent your food from sticking. 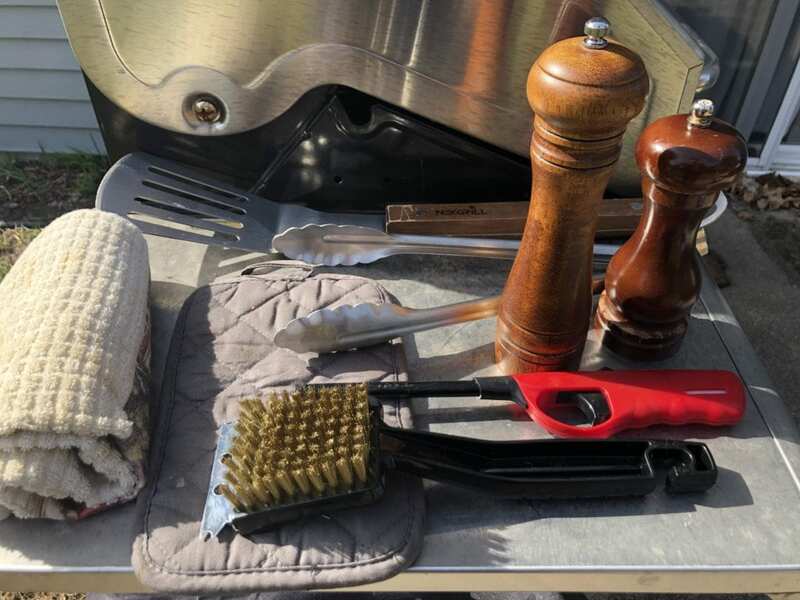 Invest in a good grill brush and go over the grill twice; once when cold, another when hot. It doesn’t have to be perfect, but there shouldn’t be large pieces of soot or anything on the grates. In a later installment, I’ll discuss when wiping/treating the grill may be necessary, but for now, this is the bare minimum. Grill cover: I’ll admit it; I’m terrible at covering my grill. So I’ll make a deal with you; I’ll cover my grill after every time I use it if you do, okay? Cool. A grill cover won’t help from all of the elements, but it will prevent water from pooling inside the grill, which can lead to staining and rusting. All of this was made for less than 50 dollars, and I bet you have most of the equipment already on hand. Put it in a plastic tote and get ready to grill (also makes the best Fathers Day gift ever.. just saying). Next installment we will talk about Grilling Techniques, Tips, and Tricks.